Dave Schaller doesn’t have a swelled head when it comes to his younger brother Tim’s NHL career. He does, however, sport a big head – 3 ½-feet high, to be exact. What’s the ultimate way to pay tribute to your hockey-playing sibling at an NHL game? 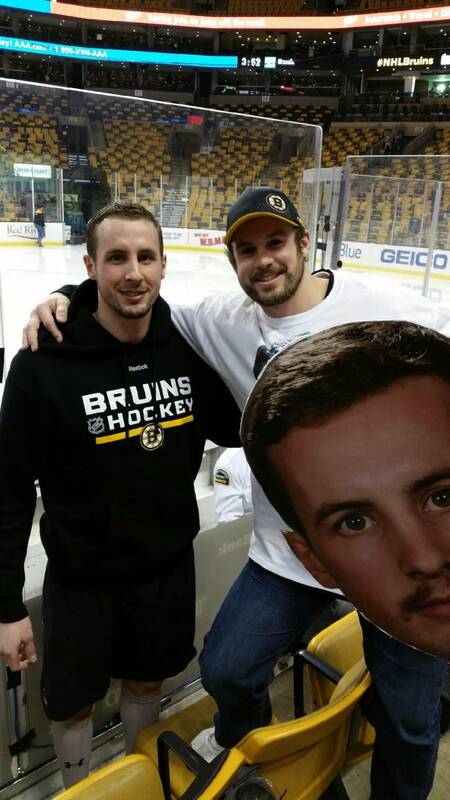 For Dave Schaller, it’s through #Timmyheads, a larger-than-life homage that showcases brotherly love through a colour cutout featuring the mustachioed face of Tim who plays centre for the Boston Bruins. All done in good fun, the elder Schaller also considers it an expression of gratitude. In 2007, Dave was diagnosed with a rare blood disease, Aplastic Anemia, which affected his blood and immune system. When Tim, who signed as an undrafted free agent with Buffalo in 2013, made it to the NHL, Dave came up with a unique way to say thank you. “He was playing with the Sabres at that time and my buddies and I decided to go out there to see him play,” started Dave. 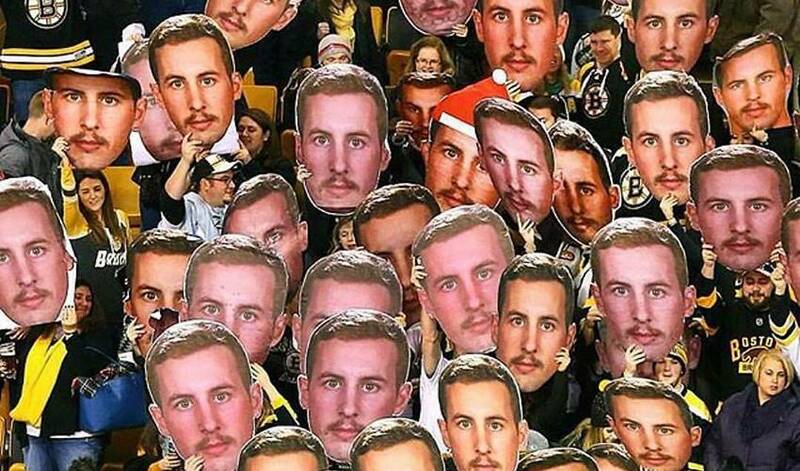 “When he came to play in Boston, my buddies and I started talking and we said, ‘Why don’t we print out some big faces of him and bring them to a game?’ I thought it would be funny to do that, kind of embarrass him. He came to Boston Garden when he was with Buffalo and he had his first NHL goal against Tuukka Rask. We had these one-foot, maybe one-and-a-half foot heads printed out. People immediately took notice of the Timmyheads. So, too, did Tim’s Bruins teammates. The #Timmyhead momentum is still rolling along, attracting new fans and supporting worthy causes along the way. The man who inspired it all is happy to throw his support behind the 'Timmyheads' craze. When Tim visits a local hospital, he’s often joined by a few teammates. 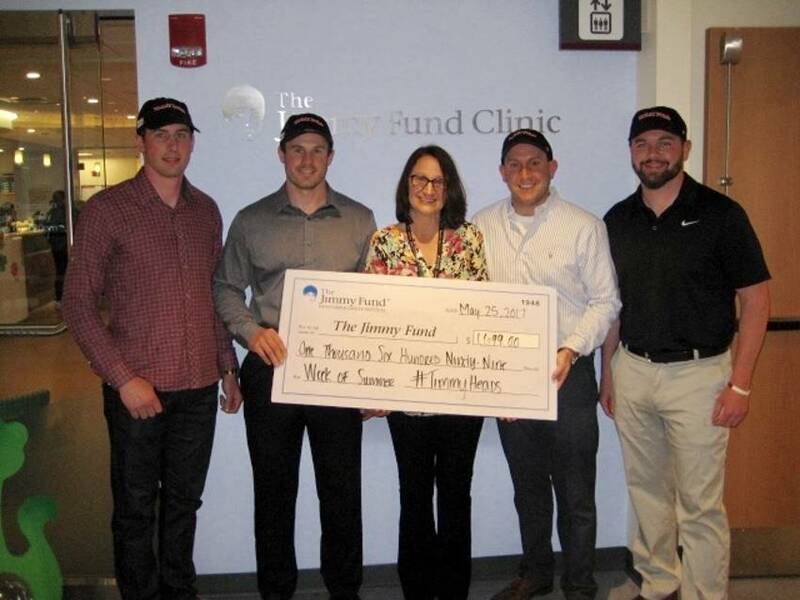 For Dave, seeing the players step up for a good cause is never a surprise. It’s a word Dave often uses to describe what Timmyheads has evolved into. He also finds humour in the good-natured act of brotherly love, considering the time the siblings went toe-to-toe, literally, for nearly 60 minutes one day during their teenage years. “I’m older and I’ve always been a thick, stocky person,” said Dave. “Tim was always skinny and short. So I was the one picking on him. We always got along pretty well. But the second he got into high school, I stopped growing. I was a senior and he was a freshman. We played hockey together one year. All of sudden, he shot up and was the same height as me. I was a little heavier. And then the competitive rivalry started. Dave has also been Tim’s biggest fan. In December, he travelled to Pennsylvania to watch Tim and the Bruins take on the Philadelphia Flyers. As always, the 'Timmyheads' were in tow. But that’s not what the eldest Schaller brother talks about when it comes to that game. Instead, it was a moment before the puck drop that’s stuck with him. And neither will Dave Schaller’s big head.